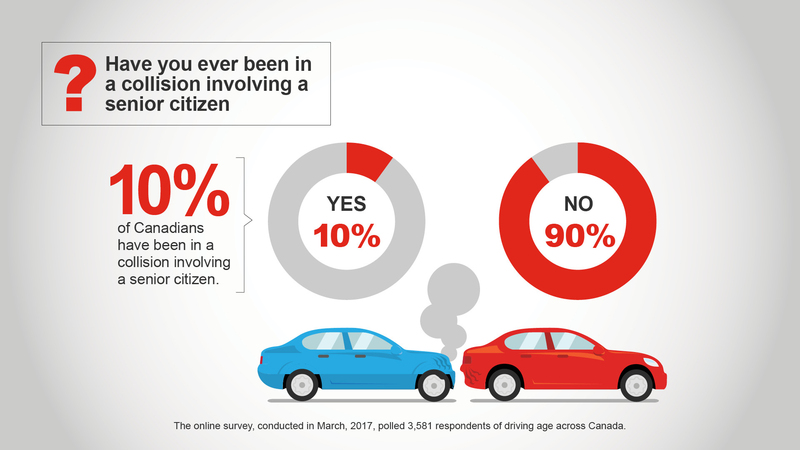 Aurora, ON (August 2, 2017) – As Canadian boomers age, the number of elderly drivers on our roads increases. Statistics Canada’s 2016 census reveals that those 65 years of age and over now outnumber those 14 years of age and under for the first time ever. 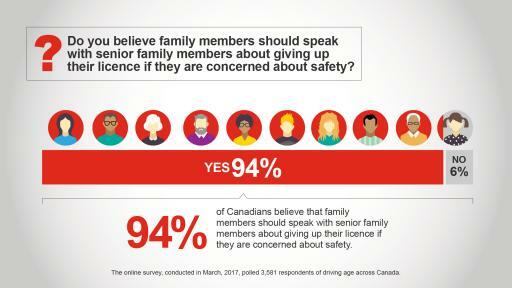 But vital conversations about how to determine when a person is unfit to drive are difficult. 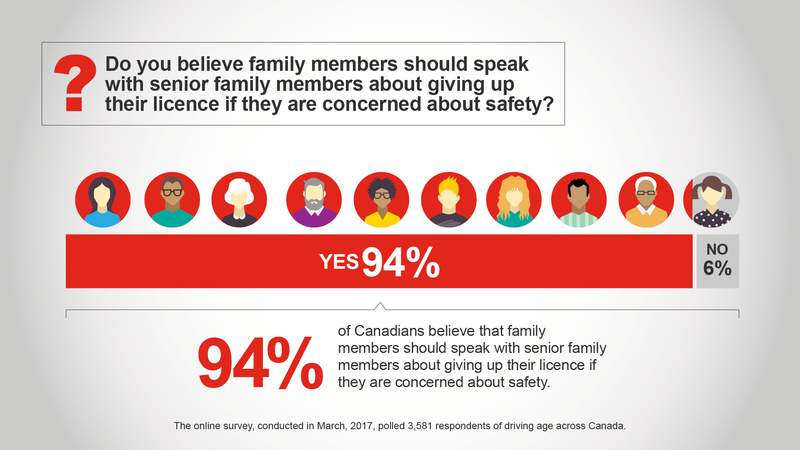 Do you believe family members should speak with senior family members about giving up their licence if they are concerned about safety? 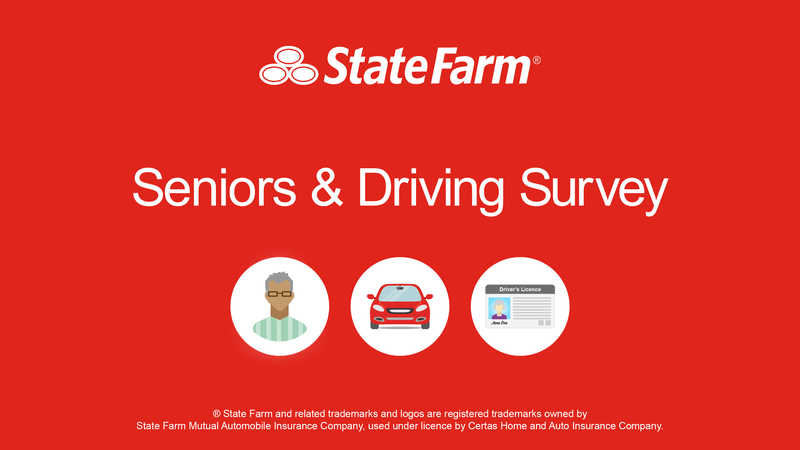 Have you ever been in a collision involving a senior citizen? 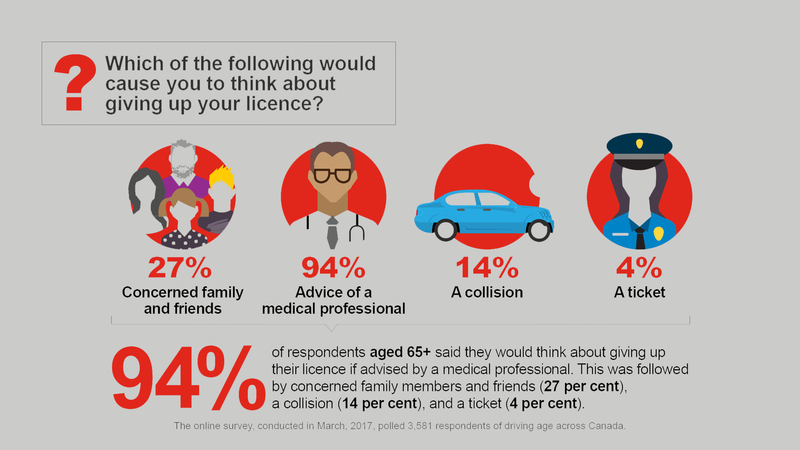 Just 33 per cent of respondents to State Farm Canada’s survey say that they have had a conversation with a senior family member about giving up their licence due to concerns about safety, but when those conversations occur they don’t always go well. In January 2015, State Farm’s Canadian operations were purchased by Desjardins Group, the leading cooperative financial group in Canada and among the three largest P&C insurance providers in Canada. With its approximately 500 dedicated agents and 1700 employees, the State Farm division provides insurance and financial services products including mutual funds, life insurance, vehicle loans, critical illness, disability, home and auto insurance to customers in Ontario, Alberta and New Brunswick. 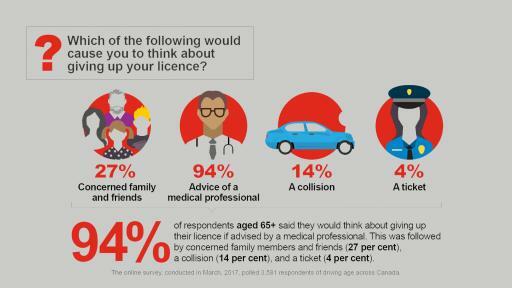 For more information, visit www.statefarm.ca, join us on Facebook – www.facebook.com/statefarmcanada, or follow us on Twitter – www.twitter.com/statefarmcanada. 1 Road Safety in Canada, Transport Canada, https://www.tc.gc.ca/media/documents/roadsafety/tp15145e.pdf.